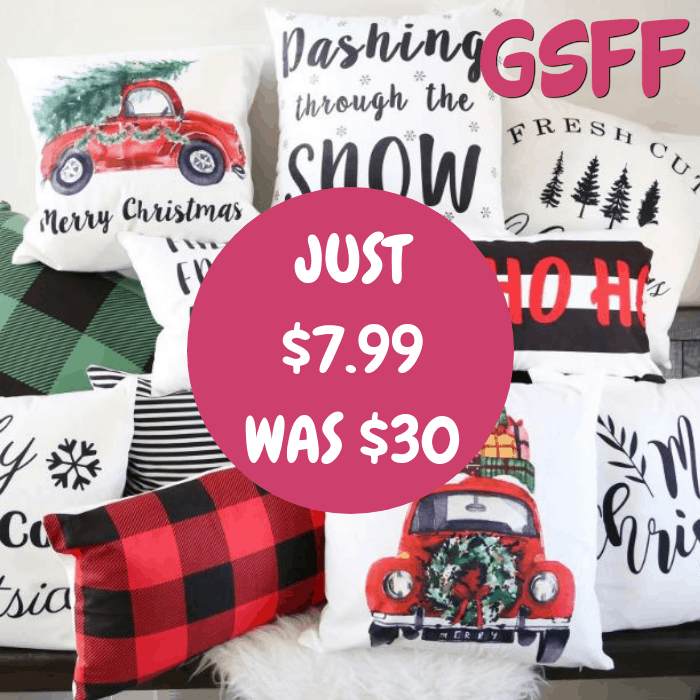 Christmas Pillow Cover Just $7.99! Down From $30! You are here: Home / Great Deals / Christmas Deals / Christmas Pillow Cover Just $7.99! Down From $30! TODAY ONLY! Hurry over to Jane where you can get this Hand-Drawn Christmas Pillow Cover for just $7.99 down from $29.99! Shipping is $3.99 for the first item and $1.49 for each additional item! Add that special touch of Christmas Magic to your home with our Artist created, Hand-Drawn Designs. These fun and fresh designs add a stylish touch of Vintage, Modern, and Farmhouse. These Christmas pillow covers make an excellent addition to creating the spirit of Christmas in your home. Choose from 38 festive designs. Perfect for couches, chairs, benches, and beds! Get a head start on the season with these festive designs. Makes the perfect gift!